Our new ice cream truck is now available for catering! We deliver a one of a kind experience right to your event! Your favorite Cold Stone flavors and mix-ins! We deliver the Ultimate Ice Cream Experience! Check out our services page for more about our catering, including our custom trailer, truck and portable stones. 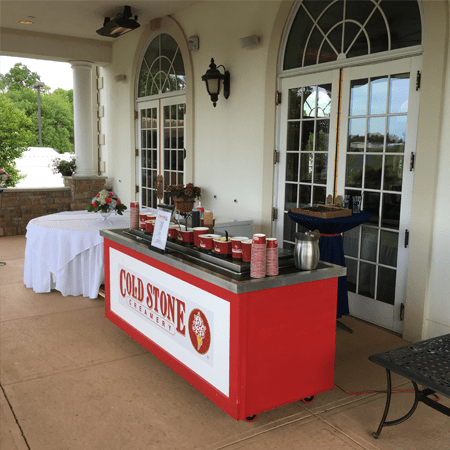 Cold Stone Caterers will help make your event special! 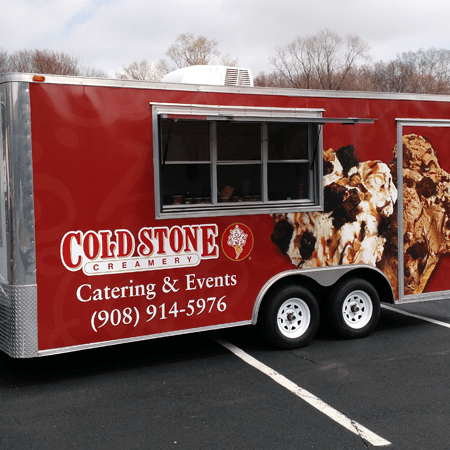 Cold Stone Caterers can handle both large and small events. Make your next party memorable! Treat your family and friends to the Ultimate Ice Cream Experience™ with ice cream catering from Cold Stone Creamery®. 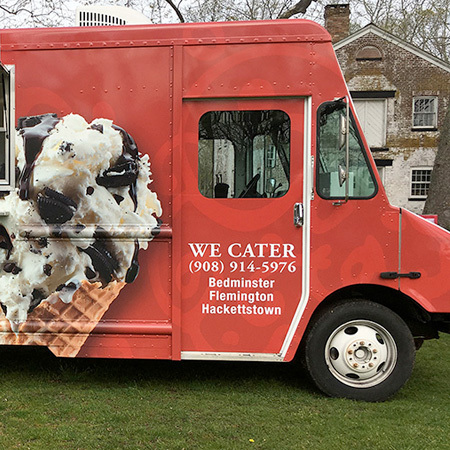 Check Out Our Ice Cream Trailer & Truck! Our custom trailer and truck are both equipped to handle your event's ice cream needs! Imagine the excitement of having your very own sundae bar with a full selection of toppings and mix-ins. Contact us today to reserve our trailer, truck or sundae bar for your event.